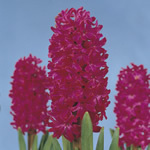 and their necessary cold-periods in weeks for forcing indoors on water. 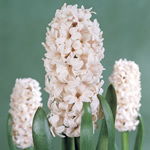 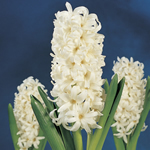 Stated are the optimum cold-periods in weeks in 3 periods of the winter, after which the hyacinths can be forced indoors at room-temperatures to a proper length. 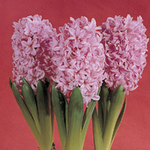 These periods apply when the optimum temperatures during the cold/rooting period are about 9ºC (48ºF). 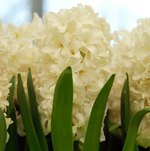 Prior to this cold-period, the bulbs must have received the proper warmth storage period. 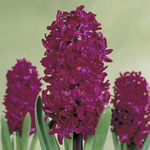 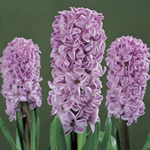 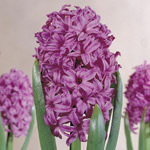 (See also forcing hyacinths: the process). 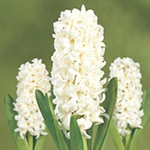 * Not suitable for this period. 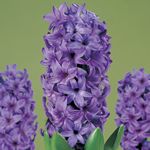 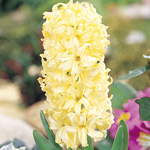 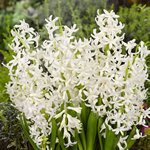 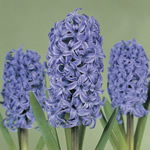 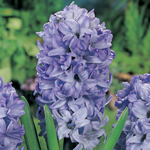 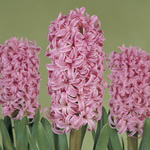 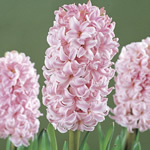 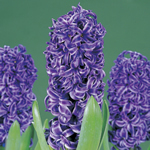 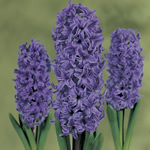 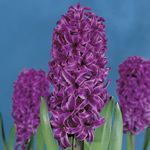 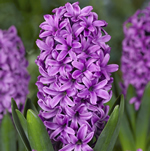 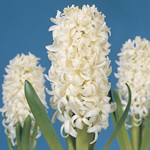 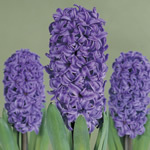 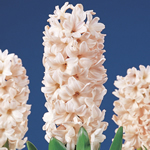 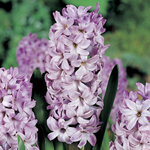 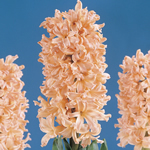 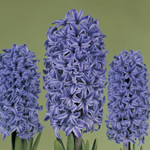 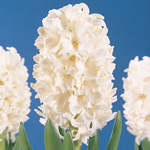 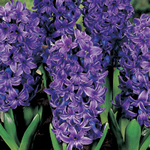 ** Multiflora hyacinths are specially treated big bulbs of certain varieties that produce more sprouts and flowers per bulb. 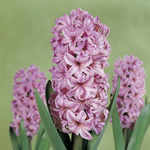 The big main sprout is absent and a bunch of side bulbs will flower. 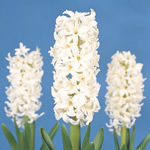 The data for the given variety can be used. 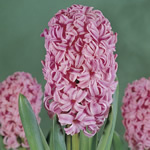 If the variety is not known it is best to use the data for Pink Pearl.